I get this question a lot from people who are changing their diets, or curious how I changed mine. Actually, the first question is “what can you eat?”(lots of things! ), followed occasionally by “but don’t you miss gluten/sugar/carb-y things?” (surprisingly, not very much), but then people get around to questions about how I manage to eat away from home. Dining out is a bit of a headache at first, but just like traveling, once you learn to do a little research, arrive armed with a plan, and (politely) ask questions, you’ll be absolutely surprised – pleasantly so – as to what lengths restaurants are willing to go to accommodate you. Remember, chefs want to make people happy with food. 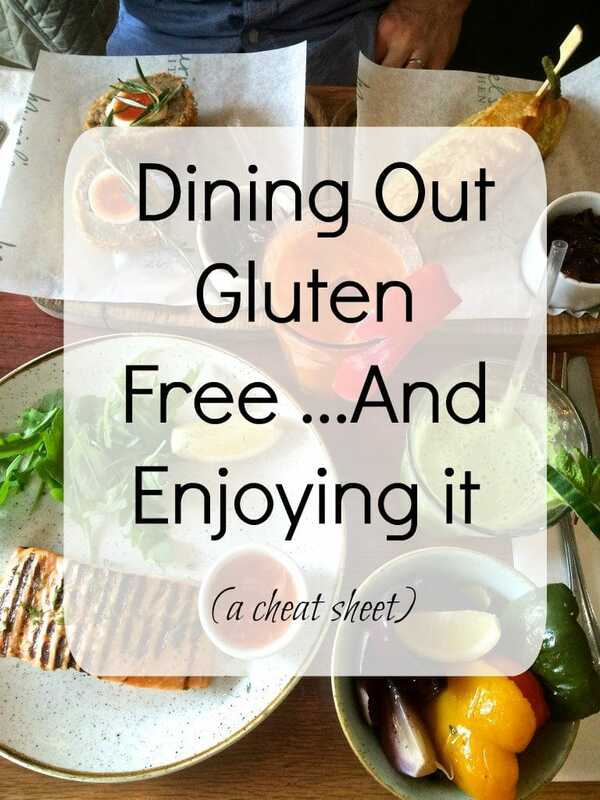 Below I’m sharing all of my tips for dining out stress free with gluten and other dietary restrictions, but before we dive in, I absolutely have to share my #1 fool-proof secret to eating well and safely when I’m at a restaurant. Ready for it? This is a really groundbreaking, Earth-shattering, another-synonym-for-the-ground-opening-up-in-awe secret. Here is is: Respect. Your. Server. Yeah, you heard me. 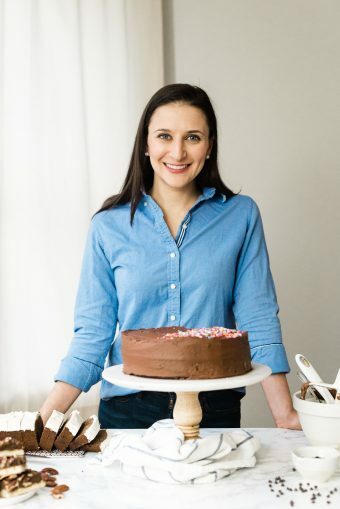 You’d be surprised how much easier things go when you are smiling, maybe slightly self effacing (“sorry to be a little high maintenance!”) and above all, gracious (“I really appreciate your help!”, “everything is delicious!”, etc). You know, just… manners. Don’t demand that your server accommodate you without working with him or her, and don’t assume that they will know, or should know, what gluten-free means. Check out the menu: Most restaurants have their menus online and if not, you can usually find the menu on menupages.com or through a simple Google search for “[name of restaurant] menu”. Google it: Try something like “[name of restaurant] + gluten free” to see if there are any reviews out there on sites like Yelp or the forums on celiac.com about how gluten-free-friendly the restaurant is. Have a plan and a backup plan: After you look at the menu (and read reviews, if you want), pick out your meal. That doesn’t mean you have to actually order it when you get there, but at least you’ll go into the meal knowing that there is something you can eat. Even better, pick something as a backup just in case, when you go to order, you find out that your first choice has some strange sauce or unexpected breading on it. That way, if your first choice doesn’t pan out, you won’t have to waste time scouring the menu trying to quickly decide on another meal. I don’t know about you, but when I’m under the gun like that, that’s when I am most prone to forgetting to ask about important ingredients or cooking methods. Avoid prix-fixe menus if possible: Notable restaurants and most restaurants during Restaurant Week tend to offer a multi-course set menu, during which it is extremely difficult to request more than minor adaptations when you order, due to the way that the restaurant sources, preps and cooks the dishes. Furthermore, though most restaurants that offer a prix-fixe meal also offer an a la carte (aka normal/order-what-you-want) menu, the entire table must commit to one menu or the other. So if Great Aunt Helga insists on ordering the prix fixe meal, everyone has to order it with her. That’s … tricky. I did it successfully once, but it wasn’t Restaurant Week (when restaurants are likely losing money, so want you in and out quickly, and are less likely to be willing to bend over backward) and I called ahead to have a conversation about how we could make the meal work. They did an outstanding job and it turned out to be one of the most memorable meals I’ve had, but that was an exception, I think. In general, if you can avoid prix fixe menus, definitely do. And if not, at least look them up ahead of time so that you know whether you’ll need to bring snacks to eat in the car on the way home. Call ahead, if necessary: This is especially important if you’re highly intolerant or allergic (celiac) to check into their kitchen setup and identify potential sources of cross contamination that you’ll need to avoid (for example: griddles and fryers). You can also inquire about whether the restaurant offers gluten free menus, which many now do – and which makes ordering much easier. Request a copy of the gluten free menu, if they have one. If you’re using a regular menu, zero in on the meat/fish/poultry section of the menu. Meat-based dishes tend to be built around the protein-and-vegetable model, often with a starch like rich, squash or potatoes to accompany it, all of which will be safe for you. But beware sauces, marinades, textural coatings (e.g. breading), etc, that may contain gluten. Check to make sure they have your first choice and backup choice (that you selected while you were researching, remember?) on the menu. Sometimes restaurants change their dishes or preparation and forget to update their websites. If neither option is available, you may have to do a very speedy review of the menu to find another option; if this is the case and you’re having trouble, explain the situation to your server and ask him or her for help finding something safe to eat. Sometimes your server will come around with the beverages or appetizers and ask if anyone has questions. This is a prime time to inquire about breading, thickening (like in soups, sauces, etc) or other hidden gluten in dishes you might be interested in, because his or her focus is on the questions, not on getting the orders written down correctly. Don’t be shy – ask questions! Don’t assume that if you say “I can’t eat gluten”, everyone knows what that means. It’s much safer to ask questions if you have any uncertainty or doubt in order to identify potentially gluten-y ingredients and place your order asking to leave them out (as opposed to “hold the gluten”). Remember, it’s not reasonable for diners to expect every single server in every single restaurant to be fully educated in the impact of gluten on some bodies, so – and I really can’t stress this enough – treat your server with respect and cut him or her slack. It is your responsibility to keep yourself healthy, not theirs, so don’t fault them if they aren’t sure about whether there is gluten in something. If you sense they’re unsure about whether a dish or ingredient contains gluten, it’s ok to ask them to go check with the kitchen, request the sauce (a common source of uncertainty) on the side, or simply move on to another option. Those are my fool-proof tips. What are yours? Leave me a comment below! **Please note: I am not a medical professional and this information should not be used in place of the advice of one. Please consult your doctor before trying a new cuisine if you are avoiding gluten to manage a health condition. This is a great post! After almost 12 years being GF I use all of these tips myself (especially being nice to your server!). My other tip would be not to cheat… Seemingly obvious but I can’t tell you how many times my GF family members will ask if fries are fried in separate oil (nope!) and then eat 1-2 off someone else’s plate. About a year ago I had a conversation with a server where he said that servers really notice when you “cheat” and then discount the severity of your condition. If you’re a regular, they might not take you seriously the next time, even if you have a very serious condition like celiac. That’s a great tip!! I guess I take that for granted, but it is absolutely worth mentioning. I’ve had similar conversations with servers, and even if it’s ok for one diner to be cross contaminated, it is absolutely not ok for others. So in the interest of keeping everyone safe, no one can cheat! Do you mind if I add your tip to the list? You’re welcome! I’m so glad they’re helpful! As a hotel manager, i freely admit to not knowing enough about the whole ‘gluten free’ issue & my looking around the net led me here, I’ll be putting a copy of this up on the board for all the staff to read.